You're no doubt aware that last month two black men were arrested in a Starbucks while waiting to start a business meeting. That arrest led to protests, a series of apologies from the coffee giant, and a promise to shut down all stores on the afternoon of May 29 for racial sensitivity training. But changes are still coming as a result of the incident. 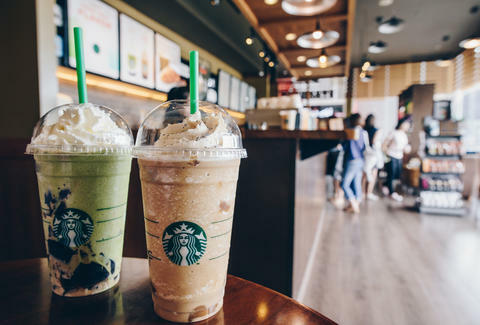 On Saturday the chain announced a new policy: Anyone can sit in a Starbucks or use the bathroom “regardless of whether they make a purchase.” The previous policies were described by company executives as "ambiguous" and left decisions up to store managers, according to a report from the AP. The new policy notes that the police can still be called if someone poses a threat, but overall it's an to make the store's rules more clear and consistent. The two men who were arrested in Philadelphia had tried to use the restroom while waiting to start a business meeting with a third patron and hadn't purchased anything yet because they were waiting for him. The store's manager called 911, and the police kept the men in custody for hours because they were "trespassing." Starbucks then released several apologies as protests broke out in the Starbucks, Howard Schultz stated that he was "ashamed," and he and Starbucks CEO Kevin Johnson personally met with the men and the manager who called the police. The two men who were arrested eventually settled with Starbucks for an undisclosed amount and settled with the city of Philadelphia for a symbolic $1 each and a pledge to set up a $200,000 program to aid the city's young entrepreneurs.